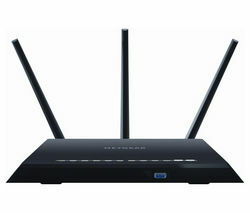 A Netgear wireless router sends out a strong signal that can handle the demands of today’s households. When each family member has multiple devices connected you need a Netgear router to ensure you can always get online. Surfing the web is one of life’s pleasures, so it can be really frustrating if you can’t connect to your Wi-Fi and visit your favourite websites. That’s why it makes sense to get a powerful Netgear router that can deal with the high demand of your family. And if you work from home, a patchy wireless signal is unacceptable, so why take the risk? Adding a Netgear wireless router maximises your Wi-Fi signal strength so you can rest assured you won’t experience drop outs when making important video calls or sending large files. A Netgear router can push the signal all the way to the furthest corners of your home, so you’ll never have to worry about the signal, even in bigger houses. If you’re looking for something even more affordable, check out our collection of TP-Link routers as well as our full router range and you’re bound to find one that matches your budget and requirements. 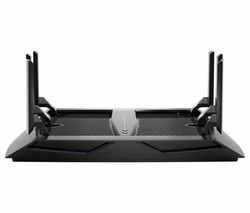 Whether you’re looking for a WiFi signal boost or you want to ensure your whole family can get online at the same time, a Netgear router is ideal.